Sandra’s keys to living an unmasked life. Tools for beating burnout with a change in perspective. Sandra’s biggest lessons from 10 years on Broadway. Today, Sandra is on a mission to empower other people’s voices through her work as an author, speaker and workshop facilitator. Her extraordinary journey of transforming her own life from being too afraid to sing in public to becoming a world-class performer whom Oprah calls “a Broadway legend” fuels the message she brings to audiences such as eBay, MetLife and Million Dollar Round Table. Sandra is a member of The Transformational Leadership Council — a group of 100 top thought leaders founded by Jack Canfield. Some of the luminaries that endorse her work are Mark Nepo, Martha Beck, Marci Shimoff and SARK. 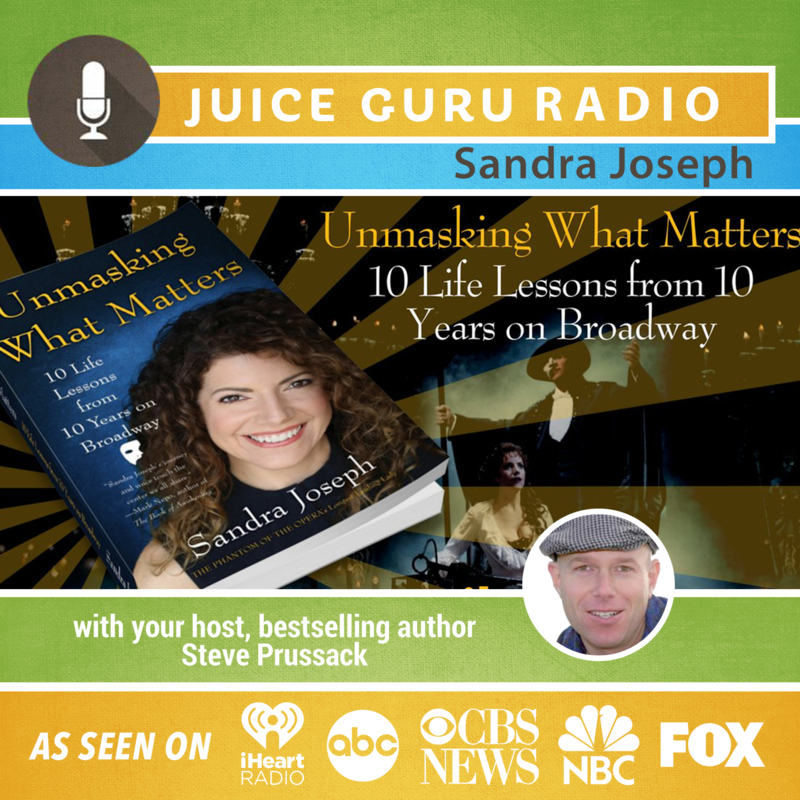 Sandra is the author of “Unmasking What Matters: 10 Life Lessons from 10 Years on Broadway.” She is also the coauthor, with five-time New York Times best-selling author Caroline Myss, of “Your Creative Soul: Expressing Your Authentic Voice.” Sandra is married to her costar from “The Phantom of the Opera,” actor Ron Bohmer. They currently reside in Southern California. Find out more about Sandra here.